Though he is best known for his orchestral works, Albert Roussel wrote an important body of piano music. This second of three volumes of the complete piano works includes the composer�s own reduction of his earliest orchestral work, R�surrection, a response to the emotions engendered by Tolstoy�s last novel from which this �prelude� takes its inspiration. Love of nature inspires the rhythmically inventive three Rustiques, the second movement of which, Promenade sentimentale en for�t, is notable for its birdsong and rich polyphony. 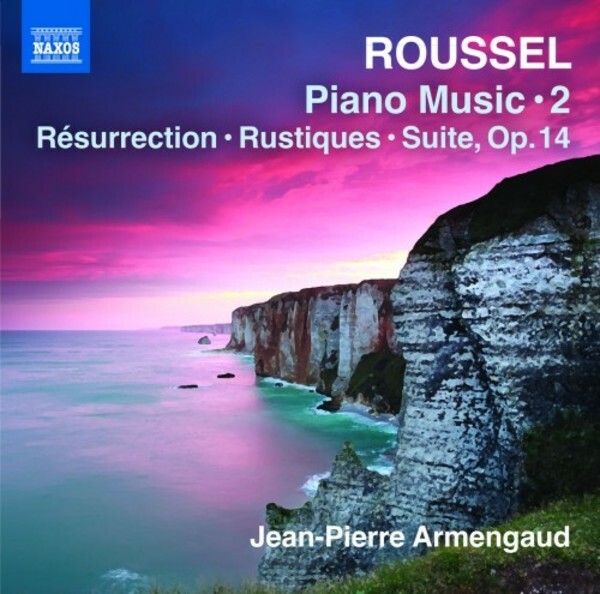 Roussel�s largest-scale piano work is the Suite in F sharp minor, richly imbued with driving energy, exciting themes and fresh effects.